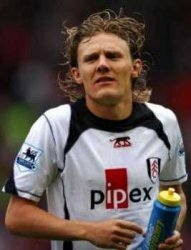 JIMMY BULLARD is taking to the waterside to cure his boredom while recovering from a knee injury. The Fulham midfielder, 28, has become a keen angler since being ruled out for the season. He was crocked for Chris Coleman’s Cottagers in a tackle with Newcastle’s Scott Parker in September. Bullard said: “Mentally, I’m fine. I’ve been doing a bit of fishing, which is nice and still and quiet so it doesn’t affect my physio. In fact, that is the highlight for me. “I have been doing some match fishing at a place in Essex, which is ironically called Coleman’s Cottage.